The Italian government has announced that 15 lighthouses around Sardinia – some on their own small islands – will be up for tender to raise funds to pay off the country’s looming public debt. Rumours have persisted since the start of the European debt crisis that Greece was selling off its gorgeous Mediterranean isles to raise funds – and now it looks like Italy, at least in the case of some small island lighthouses near Sardinia, may be following suit. The Italian government has announced that 15 historic and out-of-use lighthouses will be put up for tender on long-term leases to developers, in the hopes that the money raised will help ease the region’s serious public debt woes. At least two of the lighthouses – located adjacent to each other in the picturesque Maddalena Archipelago – are on largely uninhabited islands, Santa Maria and Razzoli. The island chain is just a brief jaunt from Sardinia’s famed Costa Smeralda, the seaside playground of the rich and famous, but has retained a more natural and discreet charm. The three inhabited islands in the archipelago, Maddalena, Caprera and Santo Stefano, have shied away from the mega-hotels and bar culture found along the Costa Smeralda, but remain a popular destination for yachters and tourists seeking a quieter luxury. Both Razzoli and Santa Maria are beautiful granite isles surrounded by brilliant azure seas, with long stretches of beach that resemble the South Pacific. Frequented by many varieties of seabirds and with schools of dolphins offshore, the islands are a nature lover’s paradise. 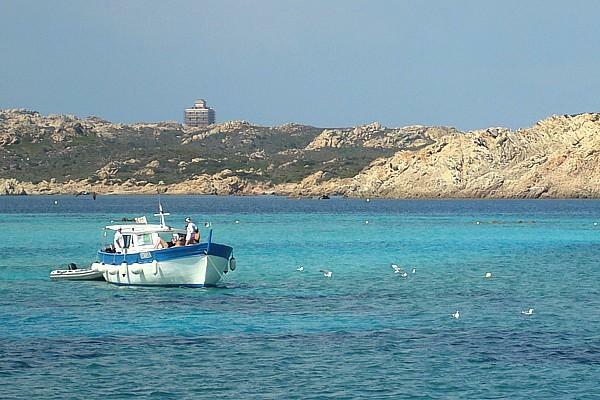 Alessio Satta, the executive director of Sardinia’s Agency for Coastal Conservation, shared the government’s hopes for the islands with the Christian Science Monitor. ““We want to create places that can be visited by everybody,” he told the newspaper. “We don’t want to create fortresses for the rich.” Mr. Satta said that the government preferred to lease the island lighthouses to developers who would create small, boutique hotels that would charge reasonable rates, such as €100 or €150 a night. He added that the leasing out of the properties wouldn’t be a restriction on use by the public, since most of the lighthouses were under the domain of the Italian naval forces or the Coast Guard and public access was already prohibited. It will likely take an adventurous developer to tackle the lighthouse projects – many have fallen into disrepair, and will require a substantial capital investment to make them useable. The lighthouse on Santa Maria, for example, was built in 1913, and has been largely unmaintained since the light was automated in the 1970’s. On Razzoli, the lighthouse fell into ruin after being abandoned in 1969, and will need even more work to make the structure habitable.